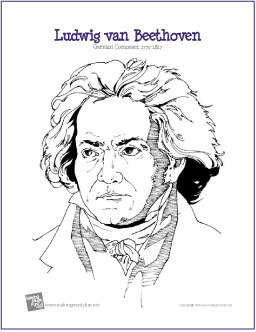 This week's music is by Ludwig van Beethoven, a composer of the late classical, early romantic period. You can find out lots of information about him here. Note the similarity between the Beethoven music and Haydn's music. You may want to go back to that SQUILT lesson and listen to the Surprise Symphony again to compare the two. In this first movement of Beethoven's Fifth Symphony (most symphonies have four movements, or sections, each one being different in character) you will hear a very famous theme repeated dozens of times. Ask the children which instruments they hear. This is an orchestra playing. What instruments can you hear in an orchestra? 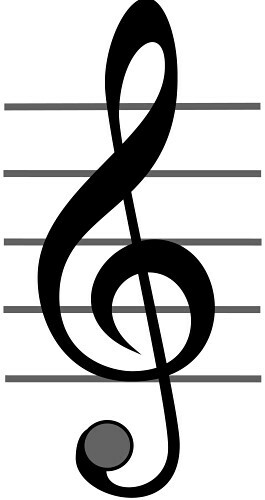 What emotions do you think Beethoven was feeling when he wrote the piece? Give your older students the SQUILT form to fill out. There are SO MANY interesting thing to learn about Beethoven. I highly recommend a video entitled "Beethoven Lives Upstairs" for the elementary and even middle school aged child. I have seen it at our local library, and Netflix also has it available for rental. I could literally go on for days about Beethoven, so you can do as much or as little as you want. Have fun with this lesson, and let me know if you found it helpful!